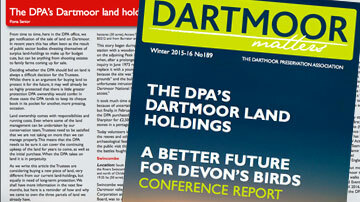 The DPA flew the flag again at our first Dartmoor show this year – Sat. 6th and Sun. 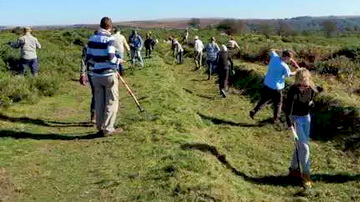 7th August 2016 at South Zeal, home of the 39th Dartmoor Folk Festival. 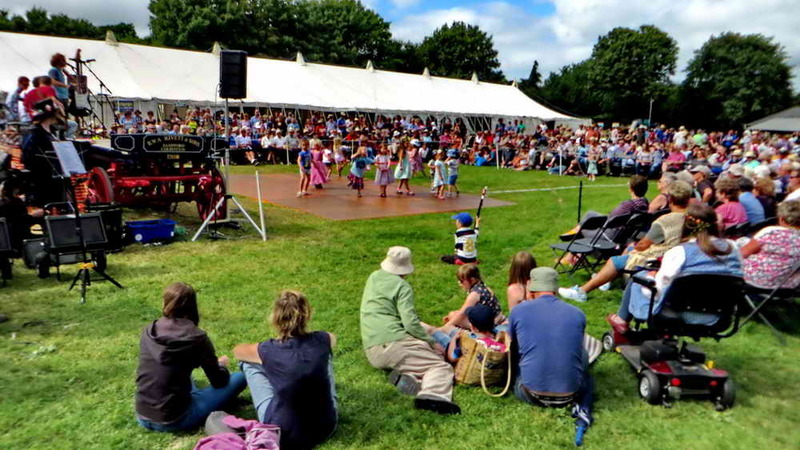 The show started as a folk festival in 1978 at Wood Country House nearby and moved to its present venue in 1981. There was some sadness at the opening of the show due to the recent passing of two central characters; Joyce Cann, Festival President, and Tony Beard, who was MC of the Sunday night Music Hall for 35 years. 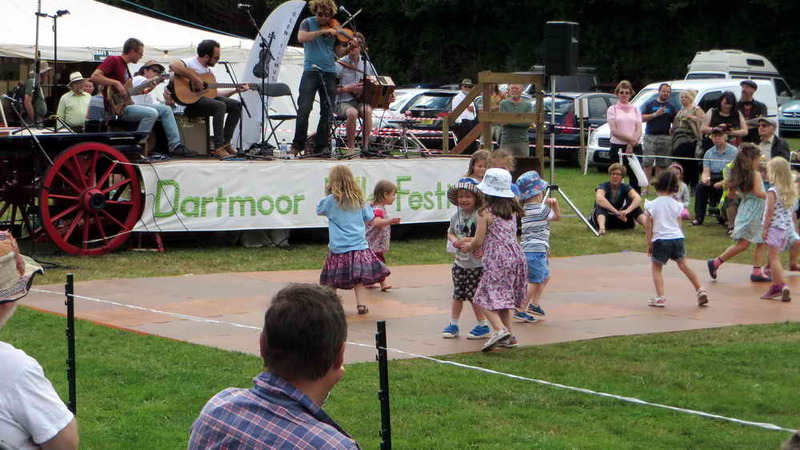 The festival is an eclectic mix of folk genres, the programme lists acts such as Blazin’ Fiddles, Mawkin, Tickled Pink, Talisk, and the Dartmoor Pixie Band. There are also a number of solo acts, including Bob Fox, Fee Lock and Pete Coe. 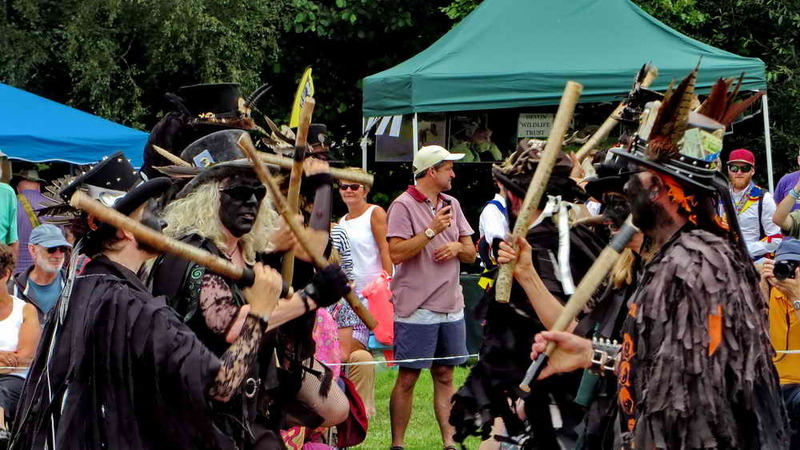 In various venues in the village may be found workshops about broom dancing, step dancing, the children’s festival (with its own 2-deay programme) and the Festival Ceilidh. 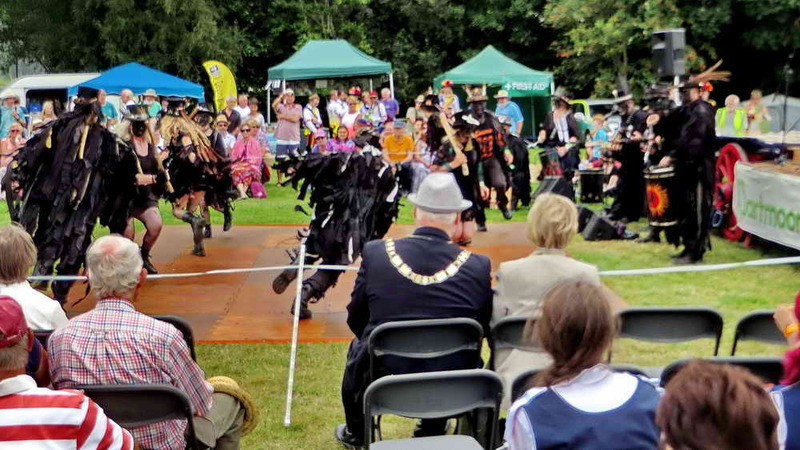 A flying mass of Morris dancers. Early after the start of the main festival on the show ground, we were treated to the dancing of Beltane Border Morris. 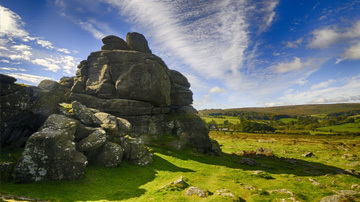 Aspects of Dartmoor are the inspiration for many of their dances. They can also be found on Youtube. Beltane Border Morris, up close. 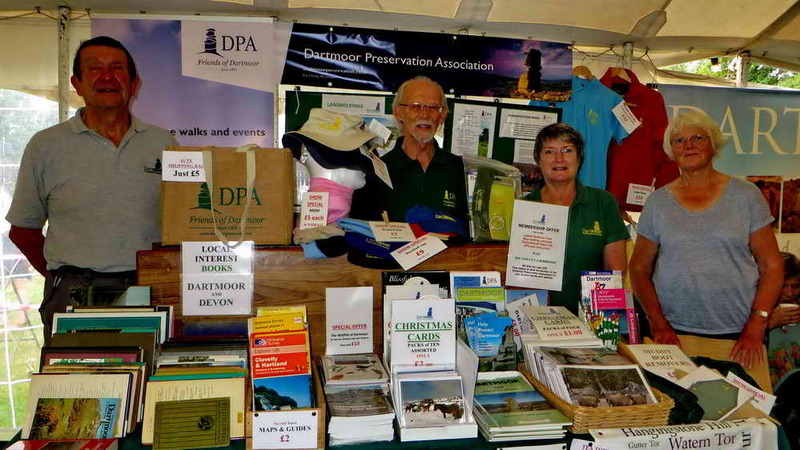 Throughout the entire weekend, DPA volunteers manned the sales display in the main craft marquee ….. 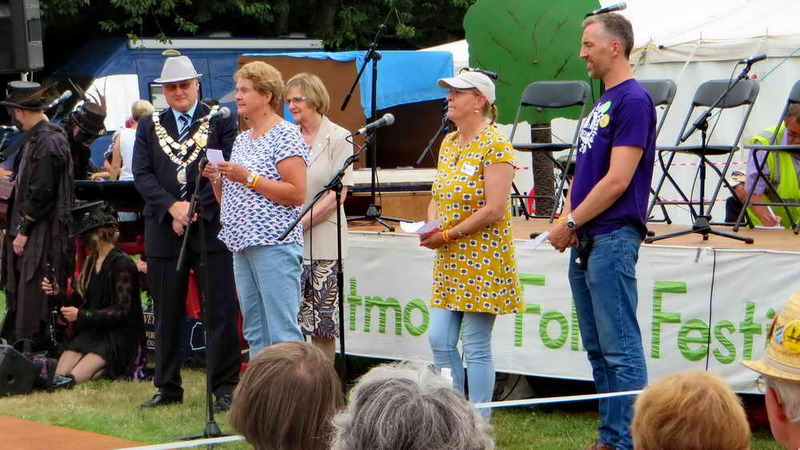 The sales team comprised the usual stalwarts: Derek Collins, organiser and transporter of the display items; Keith Ryan, Berni Ryan and Val Barns. 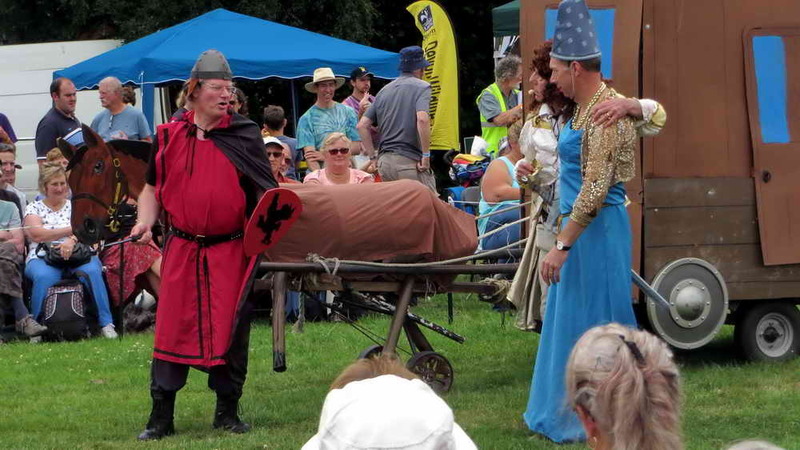 Part of the mummers play (Robin Hood). Something that I had not seen before was the mummers play., which was Robin hood. This can perhaps be described as something like a daylight pantomime, where the object seemed to be that the company had set out to joke and enjoy themselves with the hope that the audience would also enjoy themselves. The proceedings were explained throughout the play so that the audience knew what was going on. It was good. Folk dance class for the young ones. There was a parallel festival for the children, and from what I saw and heard it was very successful: these youngsters probably didn’t see a “mobile” or ipad all weekend – that can’t be bad! 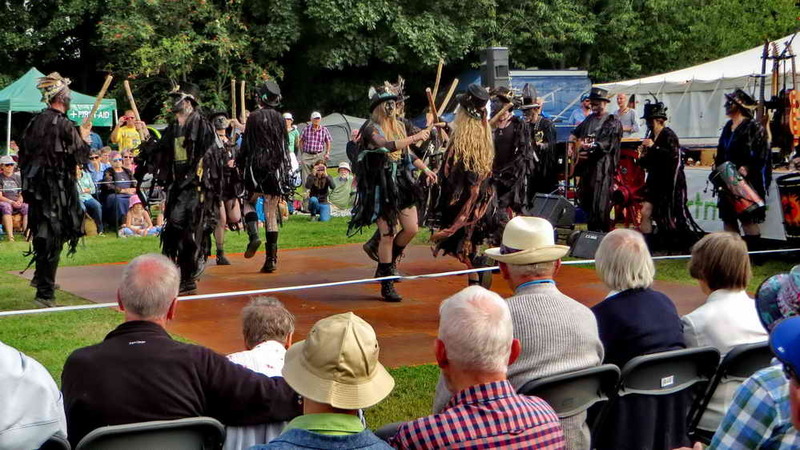 A bit more Beltane Border Morris. The weekend was, as ever, interesting. 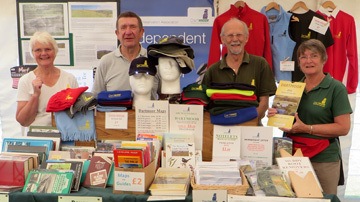 We sold quite a lot of DPA merchandise, mainly Christmas cards, books and maps, along with a few hats and caps. 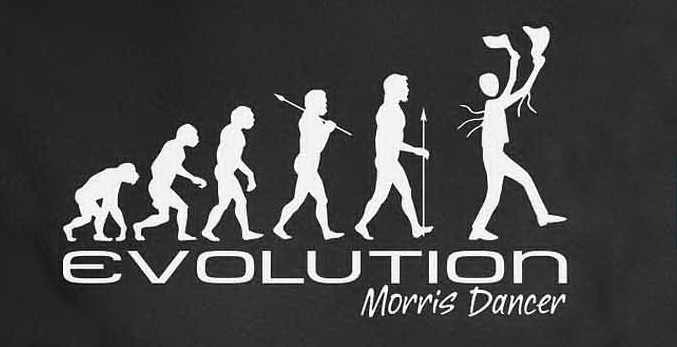 One of the funniest things that I saw walking around, along with the general good humour was this “twist” on the classic “Evolution of Man” tee shirt …..
Evolution of Man tee shirt.